How Cognition LLP built AfterSign to fix its clients’ contract management issues. Peter Aprile and Natalie Worsfold interview Morgan Borins, Caravel Law’s Director of Disruption (formerly Cognition LLP). Peter, Natalie and Morgan discuss AfterSign, client-centric software solutions, roadblocks to building software, and lessons learned. 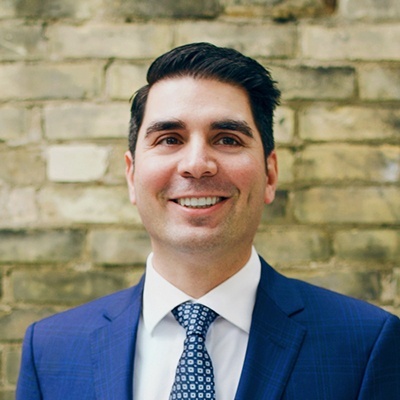 Morgan is the Director of Business Operations at CounselQuest, prior to which he practiced corporate law as an associate in the Toronto office of Miller Thomson LLP. He also holds the role of Director of Disruption at Caravel Law (formerly Cognition LLP), where he assists with the management of the marketing and sales functions as well as the development of new legal services offerings. 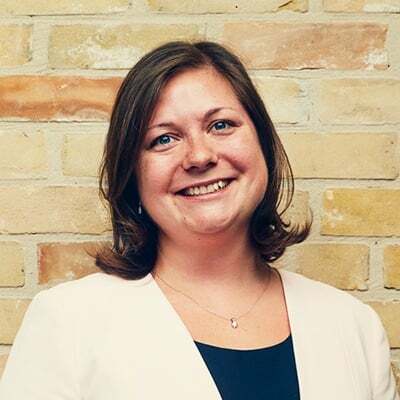 Morgan is an active member of the Ontario Bar Association, holding executive roles on both the Canadian Corporate Counsel Association and the Law Practice Management Section. He lives in Toronto with his wife and their dog, Annie. 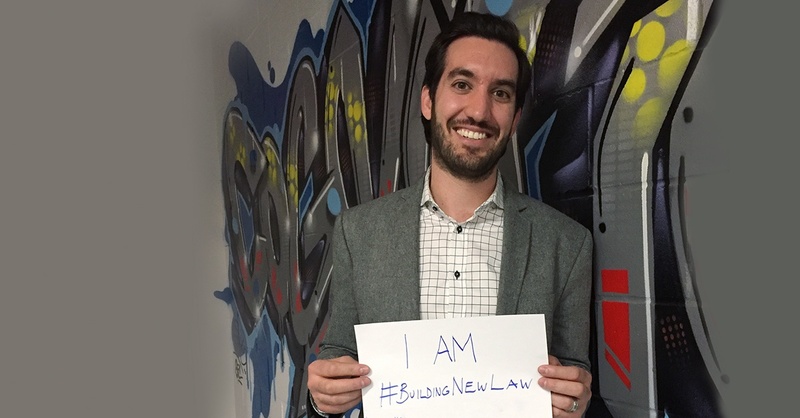 Peter Aprile: [0:08] Hi, and welcome to Building NewLaw. It’s a podcast hosted by me, Peter Aprile and my colleague, Natalie Worsfold. In each episode we interview lawyers, legal technologists, and other like minded people at the forefront of NewLaw. [0:20] We hope that the podcast connects the NewLaw community and helps us all learn more about the approaches that are changing the way that we practice law. Enjoy the show. Sponsor: [0:32] The Building NewLaw podcast is supported by Counter Tax Lawyers, a new type of tax controversy and litigation law firm. To learn more about Counter, go to countertax.ca. Peter: [0:48] In this episode we’re going to talk about software products and innovation. We have a huge interest in developing software and tools in our practice. We know that developing software and products has a lot of different aspects to it. Natalie Worsfold: [0:59] You’ve got things like identifying the firm or the client need, the appropriate tool to fit that need. Thinking about what a tool needs to look like. What are its features? Compiling the right team to build that tool. The process of actually building that tool, and then, of course, the marketing side of things. Peter: [1:13] I’d say we’ve learned the hard way how much is involved. The path is not always clear from the start. Natalie: [1:17] In this episode, we interview Morgan Borins. 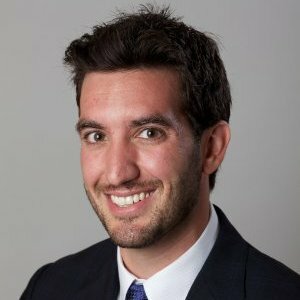 Morgan is Cognition’s Director of Disruption and CounselQuest’s Director of Business Operations. In this interview we’re focusing more on Morgan’s work with Cognition. Peter: [1:27] Cognition is a nontraditional law firm that provides on demand or full time in house legal counsel to businesses. Its clients include VW, Amex, and Walmart. Natalie: [1:36] Here’s our interview with Morgan. Peter: [1:43] We’re here with Morgan Borins. Thanks for being here, Morgan. Morgan Borins: [1:45] Thanks for having me. Peter: [1:46] We want to talk a little bit about software innovation and what Cognition is doing. I thought we’d talk about it in the context of Cognition’s new product, which is called Aftersign. Can you tell me a little bit about the product? Morgan: [1:55] The product is intended to help our clients manage their agreements and their contracts post‑execution. A lot of time is spent at the front end drafting contracts and negotiating contracts, getting contracts to completion. But then once the signature’s actually on the page there’s a poor job done of managing the content of what’s contained within those agreements. [2:14] Aftersign combines both software and management on top of that software to ensure that the terms of the agreements are effectively monitored and actioned as appropriate. Peter: [2:27] Could you give us a couple examples of what kind of terms would need follow ups on or would fit within the Aftersign sphere? Morgan: [2:33] The idea behind a product like Aftersign is rather than go through the painful exercise of collecting documents, possibly digitizing documents, and then having to go through the manual review of the terms of those documents. [2:43] Aftersign would essentially put the pieces in place so that your provisions in the contracts that are important to you as an organization are pre‑stored so that in the event that something like that comes up it’s a few mouse clicks to pull together that data set and know what the terms say. Natalie: [2:56] You mentioned this is a tool for your clients. Can you tell us a little bit more about that target market and who are your clients? Morgan: [3:02] The three trenches we’ve identified represent our existing client base, which are SMEs who don’t have legal departments. The mid‑tier, it’s still organizations that may or may not have an in‑house legal department but they do have a consistent, ongoing, regular agreement pace that it’s hard to keep track. [3:23] Lastly, there’s larger organizations. They may have the budget to have people on their team doing it but because of the size of the organization, the degree of different business units, it’s hard to centralize that function and keep track of it. Natalie: [3:33] I guess most people right now are using some kind of tickler system. This sounds a lot more advanced than having reminders that pop up. Morgan: [3:40] Beyond just the tickler reminders, it’s a number of things. It’s generating reports, being able to pull searches, as well as the fact that the underlying documents, if we’re loading PDFs, are all OCRed upon loading. You can get into actually searching through the contractual terms themselves beyond what’s been predefined and entered into the fields. Peter: [4:01] It’s my understanding that this isn’t just a technology driven automated solution. There’s a human element to this, as well. Can you explain that a little bit and the interrelationship between the tech and the people that are involved? Morgan: [4:15] We were hearing from clients: either they were too overwhelmed by the possibility of looking at all the solutions on the market and identifying what was best suited to them or there were some organizations that had gone through that process, made a purchase decision but then either never got around to actually loading the system because they didn’t have resources. If they had, was almost a failed exercise because no one was keeping it up-to-date. [4:36] We’re trying to help everyone in those different categories out by saying, “We’ve researched the market. Here’s the best alternative for you.” It’s not just us being a software vendor. We manage it. It’s a fixed monthly fee. Peter: [4:49] If clients are interested or prospective purchasers are interested in a demo how do they go about seeing it? How do they go about experiencing it? Morgan: [4:55] We have a standalone website. It’s cognitionllp.com/aftersign. On there, there is a form to request a demo. We’ll get back to you and be happy to show you the system. Natalie: [5:05] What kind of roadblocks and difficulties did you have trying to launch these sort of services? Morgan: [5:09] Expectations, and timeframes, and keeping people’s realities in check is a big part of it. Budgetary concerns is always a big one because, at the outset, there’s always going to be things you overlook. Or, as you said, there’s going to be hiccups. That can add to the budget. [5:22] It’s making sure you’ve covered off all aspects. Getting the tool in place is one step in a broader puzzle. There’s the marketing of it. There’s the sales aspect of it. There’s the administration of it internally. Natalie: [5:56] Can you tell me a bit about...is it the lawyers who are building this? How are you going about it from a practical perspective? Morgan: [6:01] For any new product launches, that’s handled by our internal management. The only exception is we have one junior associate. He brings a lot of technology expertise and interest. Natalie: [6:14] Are you guys hiring software programmers, as well? Morgan: [6:16] It depends on the product. Aftersign is not a proprietary software solution to Cognition. It is one in which we partnered up with a third party vendor. Natalie: [6:27] I really like the idea of going and finding potential partners or companies that already have a product. How did you go about identifying those companies? Morgan: [6:35] We set out to have a broad view of the lay of the land to say, “Here’s what’s on the market. These are the criteria that we know we want to check off our list.” Speaking to as many of them as we could to see who, at stage one, most closely met our criteria. Natalie: [7:02] Were people who you approached generally quite receptive? I’m picturing a cold call out of the blue from a law firm saying, “Hey, we’d like to partner with you.” I can’t imagine that was what they expected to hear on a Monday morning. [7:39] We got a lot of shrugs and confused reactions. That was also part of the process, was figuring out who was a vendor that understands what it is we want to do here and is willing to work with us to get there. Peter: [7:49] It sounds like from the time that you approached possible vendor one, let’s say, to the time you went to market...how long was that process? Morgan: [7:56] It was probably an 18 month process before we were able to launch it to market. Peter: [8:00] It’s amazing. You seemed to say that 18 months is a long time. In my experience 18 months, if you can do it in 18 months you’re doing great. Morgan: [8:07] The reason we wanted to work with existing vendors is if you’re developing your own proprietary system from scratch that’s definitely true. We did not want to become software vendors through this process. We wanted to be able to go to market with what we thought was the best managed service. That was the goal. Peter: [8:23] You touched on this a little bit earlier but how does Cognition bridge the gap between you folks and lawyers as well as your vendors or technology partners? Morgan: [8:32] For something like contract management, given who the target market is of that type of solution the vendors do have a degree of familiarity in terms of what types of organizations are we working with. What are their needs? What are their operations, etc.? [8:43] It’s not completely foreign to them. I think it’s us figuring out the legal piece and leaving the software piece to them. [9:03] Do you think that learning experience and some of those failures is necessary to the process? [9:33] Number two, on the software solution side, we’re not going to get everything in there. Let’s focus on what’s absolutely necessary and go from there. It’s that lean startup approach of rather than build the best catchall solution and then you find out no one’s willing to pay for this, why not build it as simply as possible, get it out there, and then see how people react. Peter: [9:54] A lot of people were involved in this. Is there any concern about somebody stealing the idea, getting to market first? How does Cognition view that? Morgan: [10:02] The initial feedback we’re getting is from clients. We’re not too concerned if we say to a client, “This is what we think might solve your solution.” That client’s going to quit their job tomorrow and go and try to start a contract management service. That’s number one. [10:16] In terms of the other discussions, we’re talking vendors for the most part, or developers. Again, they’re serving their role within the broader project. [10:26] I don’t have too many concerns about whether it’s an existing software vendor or software developer or if we’re talking to a marketing company, or a business development person to help us sell it. I don’t see those people running with the idea on their own and getting it. [10:37] The long and short of it is if you’ve shared your idea with someone and they’re able to run with it and be successful I think you’ve got bigger issues. Peter: [10:45] You talked about the investment that’s involved from some of the people at the firm. You’re taking people who are lawyers. You have hands on in this. What’s happening is you’re taking them away from billable work, which, in many cases, directly ties to their compensation. [10:56] How do you balance that? Morgan: [10:57] I think to Cognition’s benefit it’s shared organizational culture, which is we want to keep pushing the envelope. We want to keep exploring new terrain. We might not get everything right but if that kind of approach is shared among the team and there’s buy in them people are going to push to get there together. Natalie: [11:14] What do you think is next on the horizon? Morgan: [11:16] The phrase we’ve been throwing around is “Becoming legal solutions architects.” We don’t want to be the firm that clients call when they’ve run into a situation, when they’ve had an issue come up and they need it to be solved. We want to be the firm that avoids those situations from ever arising or even, more preferably, we’re the trusted solutions advisors that people come to to get their affairs in order. Natalie: [11:41] I know you guys are spending a lot of time and effort in terms of educating clients, and training, and things like that. When I look at what Cognition is doing and hearing you talk about the architecture plan it’s trying to help people move forward. Natalie: [12:15] Who else do you see as doing something interesting? Morgan: [12:17] I like Riverview in the US. I still don’t know what’s fully going on behind the curtain but in terms of what they’re revealing to the world it’s interesting. Peter: [12:25] What are they doing that you think is interesting? Morgan: [12:26] Proper processes and the proper implementation of technology to assist with those processes. It’s behind the scenes, right? For them it’s not about commercializing something externally. It’s about delivering their services better. [12:39] I think more people have to do that. [12:41] I like Axess Law. Their delivery model, their focus in their niche. I think the end consumer purchasers of legal services, that is one of those spaces that so far is largely untapped. [12:53] You’re seeing different people come at it different ways but to establish yourselves in a physical location where you already have the people coming to you, I think that’s an interesting approach. [13:04] I’ve even said this. You’ve reminded me of this. I think there’s too much focus and hype and discussion around AI, but I’d be lying if I said my ears don’t perk up when I see some of the things coming up. Both Kira, who’s a local provider, as well as Ross, they’re early players in that space. [13:24] I’m interested to watch both of them and see where it goes. [13:27] We have a good relationship with Kira and Noah Waisberg. I think he’s starting to get some good traction. I’m excited for him. I think that’s going to continue to grow I think he’s doing a great job. Peter: [13:36] Is there anybody else under the radar that people might not be aware of? I was saying in our initial podcast, this idea that everybody has their head down and so focused on what they’re doing that I think a lot of people who are trying to do something different don’t share it with the world. [13:50] I think that identifying these folks provides some inspiration or some insight. Morgan: [13:54] What I would say is something I’m come to appreciate is there’s a big difference between coverage in terms of the media coverage, talk in terms of people going on the record and saying things, and then end of day execution and results. [14:07] For a lot of the listening audience of this podcast, I wouldn’t get hung up on the first two. If you’re to devote your time and attention on something I think it’s execution and worrying about the results. The rest of it, it’s superficial and shallow. Peter: [14:22] I think that’s a perfect note to end on. Thank you so much for doing this and your willingness to stay way beyond what we thought we were going to do today. Morgan: [14:29] My pleasure. It’s been fun. Peter: [14:36] I learned a lot by interviewing Morgan. Natalie: [14:37] Yeah. What a great guy. It’s refreshing to hear somebody talking about the legal industry with passion and with a genuine interest in actually making things better. [15:07] Not only do they not see any limits to that, but they’re doing it. It all seems like, generally speaking, they’re perfectly aligned to this mission. That’s why Cognition has made the progress that it has over the last 10 years. [15:17] I look forward to our next podcast. Whoever our next guest is is going to have a lot to live up to because that was a good one. Sponsor: [15:58] Thanks for listening to the Building NewLaw podcast brought to you by Counter Tax Lawyers. To learn more about Counter go to countertax.ca. Lawyers that have completed the S01E02 BNL CPD can claim a 30-minute Professionalism CPD credit. To access the S01E02 verification examination click this link.